STPL offers an eBook and eAudiobook service called CloudLibrary which will allow library users to check out 10 items at a time for 21 days. Download the CloudLibary app at www.yourcloudlibrary.com or by searching for "CloudLibrary" in your device's app store. Select your location and St. Tammany Parish Library. Enter your library card number and password (PIN). If you don't have a PIN, visit any library branch to create one. Please note that if you have late items or fines, you may not be able to log in. If you are using a computer and have an Adobe ID, select to use it. If you do not have an Adobe ID, select to automatically generate one. Select a book to borrow and press "Check Out." 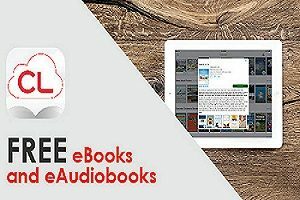 If you are transferring an eBook from a computer to a device, click the "MyBooks" tab, connect your device via USB and select "Transfer to Device." Should you need further help, please call or email a reference librarian or schedule an appointment with a reference librarian. We hope you enjoy using CloudLibrary!